QTY 12345678 Please select a quantity. Buckwheat Lettuce Sprouts are rich in protein, iron, calcium, phosphorus, Vitamin B Complex, Vitamin E, & large amounts of rutin and bioflavonoids. 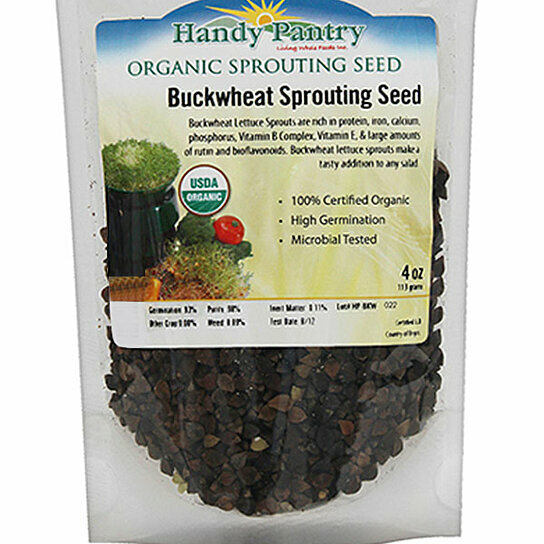 Buckwheat sprouts make a tasty addition to any salad. USDA Organic. Prime Quality. Non-GMO.